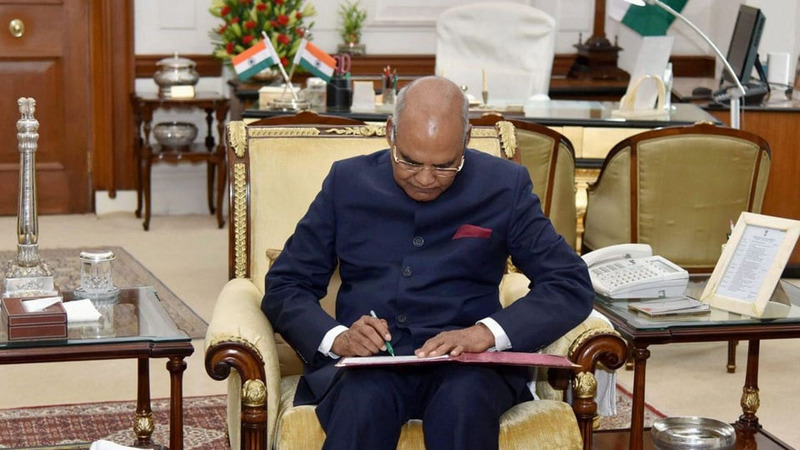 New Delhi: President Ramnath Kovind has given his nod to Karnataka’s Good Samaritan Bill, the first of its kind in the country. As per Home Ministry officials, the Legislation will give protection to good Samaritans who may be hesitant to lend a helping hand to accident victims, especially during the ‘golden hour’, fearing investigations and harassment at the hands of Police. It was learnt that State Government had passed the Karnataka Good Samaritan and Medical Professional (Protection and Regulation during Emergency Situations) Bill, 2016 during the Belagavi Session of the State Legislature. The Bill aimed to provide protection to Good Samaritans and ensure quick medical aid for road accident victims and encourage people to offer first aid to victims without fear of legal wrangles. Bystanders often refrain from helping due to the fear of legal and procedural hassles, now passing of this law aims to provide protection to Good Samaritans and ensure quick medical aid for road accident victims and encourage people to offer first aid to victims without fear of legal wrangles. The ‘golden hour’ is the first hour following an accident which is considered most crucial, as the accident victim has to be rushed to hospital to stand a better chance at survival. The Legislation covers the costs of “running around to Courts and Police Stations” and grants the “Samaritans” exemption from repeated attendance in Courts. It also makes it mandatory for all Government and private hospitals to give first aid to accident victims. Karnataka is the first State in the country to launch Mukhyamantri Santwana Harish Yojana to provide free medical treatment to road accident victims for the first 48 hour at any hospital. This scheme was introduced by the State Government in February, 2016 when the Good Samaritan Bill was mooted in the State. An official said that there were many instances when bystanders simply click photos or make videos of the victims without offering any help proactively. However, with the new law, there will be clear message that good Samaritans will not be harassed in any manner, the official said. As per data, there were 4,80,652 accidents in the country in 2016 out of which 1,50,785 were killed. In the preceding year, a total of 1,46,133 people were killed out of 5,01,423 accidents reported in the country. Karnataka was the fifth State in the country that reported highest number of accident. The law, which aims to encourage people to offer first-aid to victims without fear of harassment at the hands of Police, provides financial help to good Samaritans who help victims in a timely manner.